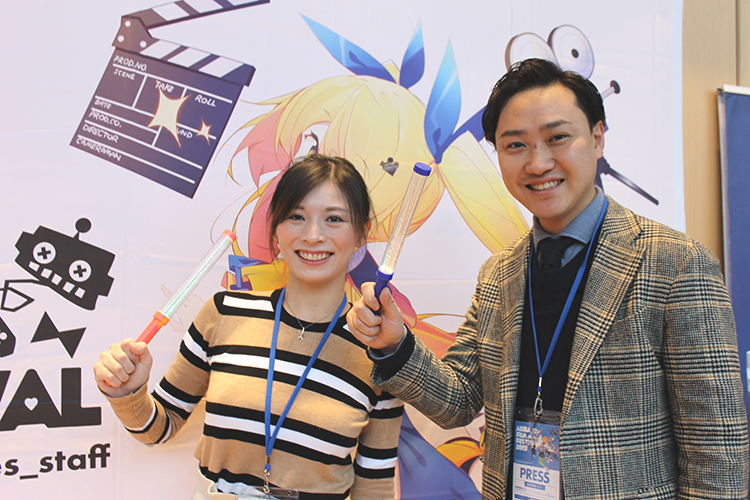 We went to the “the 4th Akiba Film Festival,” which was held from January 12 to 14, 2019. 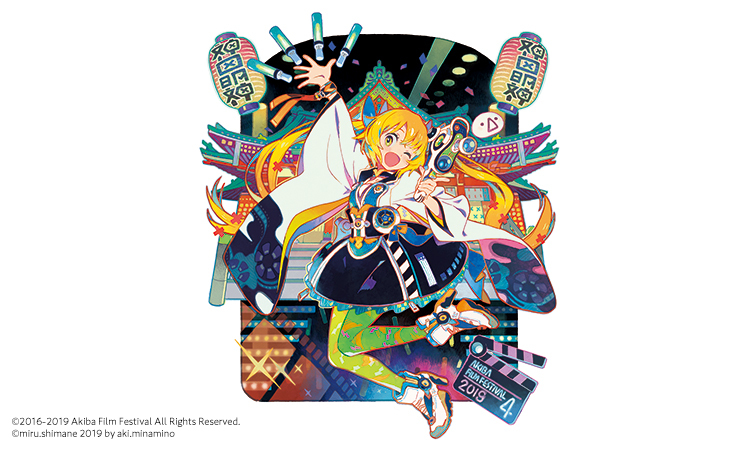 The Akiba Film Festival is a film festival that collects the “love” of the people coming to “Akiba.” Mainly anime films and also original works of manga, “light novels” (young-adult illustrated fiction) and games, and films starring popular idols are shown. 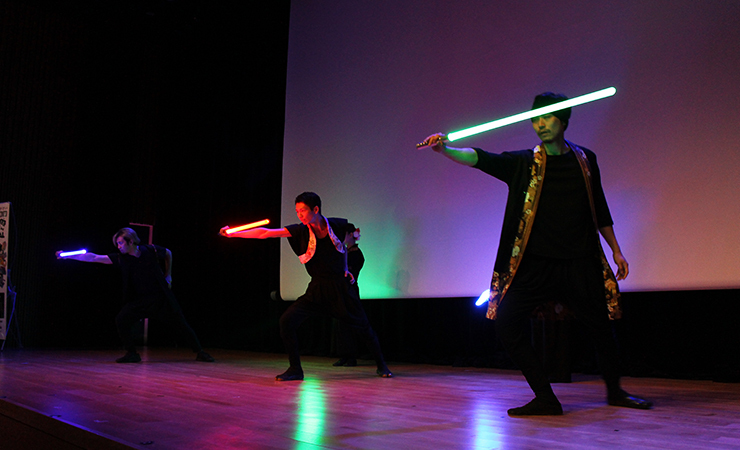 This time, which was the 4th version, it also drew attention as an opening event of “the Kandamyojin Hall” in Tokyo. 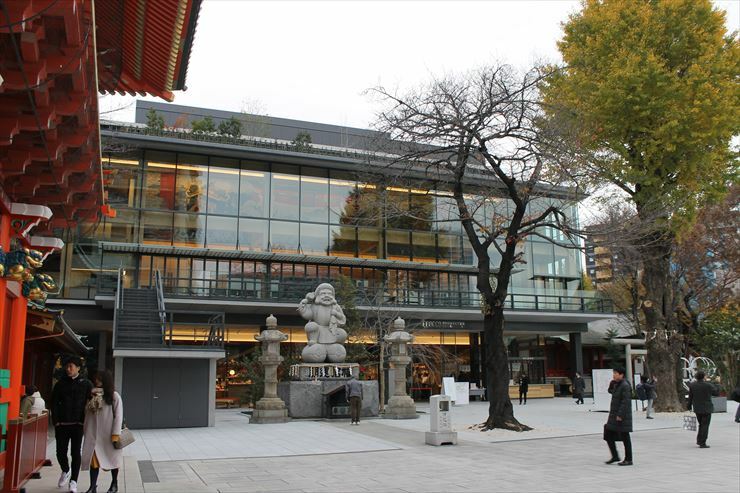 This hall opened last year on December 15 and is known as a place where Japanese traditional culture gets spread. 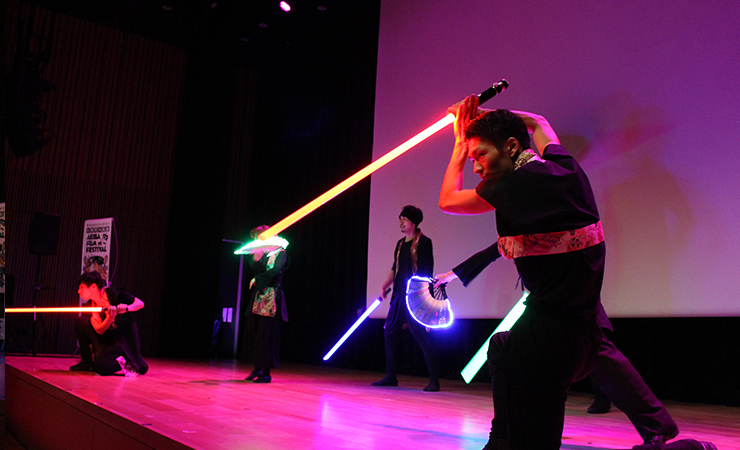 In the opening ceremony on the first day, the Tokyo Saberz did their dance and their sword battle performance using lightsabers. 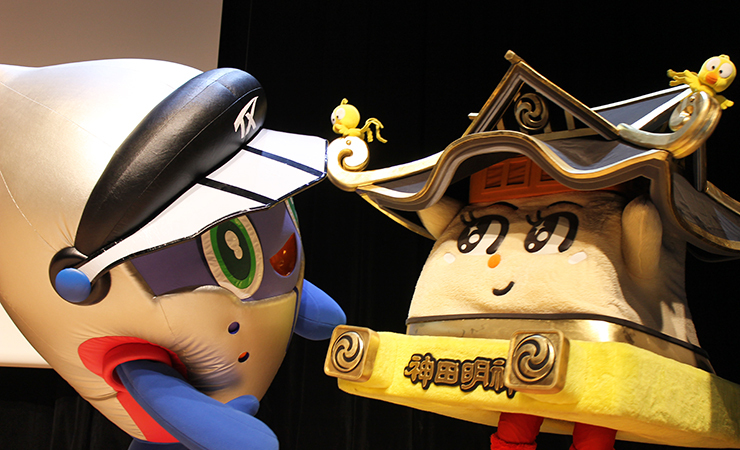 “Mikosshi,” the official character of Kandamyojin, and the new official characters of Akihabara, “Otakun” and “Akibear,” showed up on stage. Also, the live-action film “Chronos Jaunter” was shown for the first time. Hiro Shimono, a famous voice actor, stars in the film. Kentaro Hachisuka filmed a masterpiece of lyrical SF, “Chronos Jaunter,” which was written by Shinji Kajio, who is a master of SF novels. Hachisuka has also worked on films collaborating with film-makers in other countries, such as “Alice in Dreamland” and “Here comes Santa Claus.” Shimono, in the leading role, plays the part of a young engineer who repeats time-leaping many times to save the girl he loves. 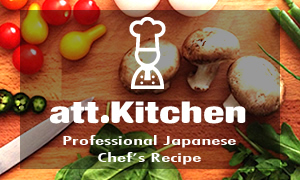 It will be released in spring 2019. 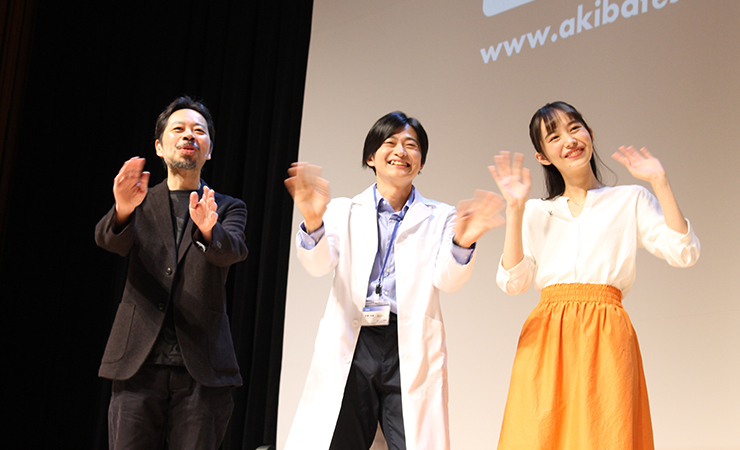 After the screening, Hiro Shimono, the hero, and Hiroe Igeta, the heroin, Kentaro Hachisuka, the director, and Takashi Ohashi, the producer showed up on stage for a stage greeting. 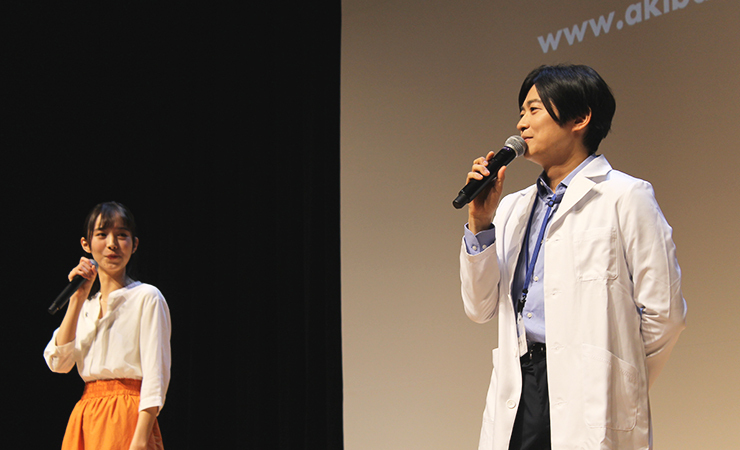 Shimono and Igeta showed up with their costumes from the film and stirred excitement the audience. 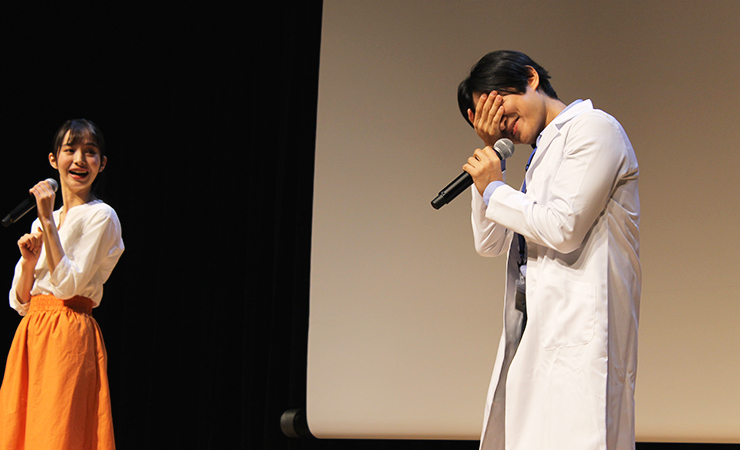 Because the film stars in live action Hiro Shimono, who is well known as a voice actor of famous animes such as “Attack on Titan” and “Utano ☆ Prince sama♪,” the hall was filled with women fans. 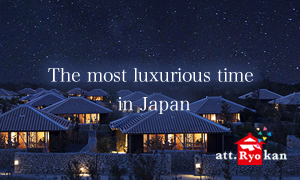 Many surprised gasps and warm cheering were heard as the hidden stories behind the film shooting were revealed. 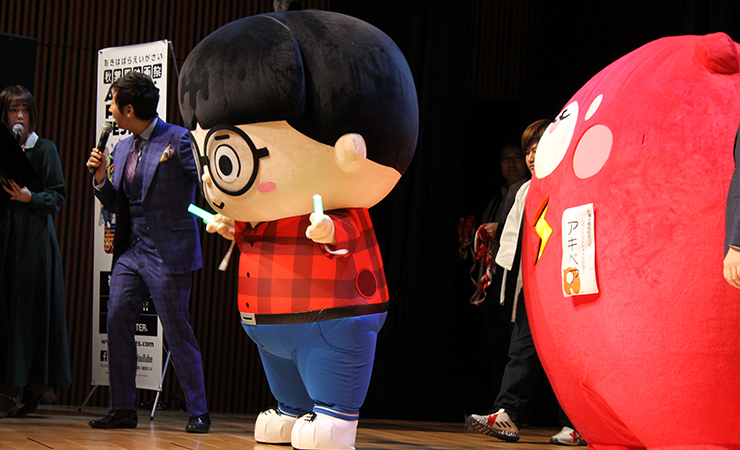 Beginning with an exciting premier screening, the Akiba Film Festival held various other events such as screening of 15 films, concerts and talk shows during the three days. Also, many people were especially excited with “speaking-allowed screening,” in which cheering, singing, and dubbing is allowed. They enjoyed the presence of concerts. 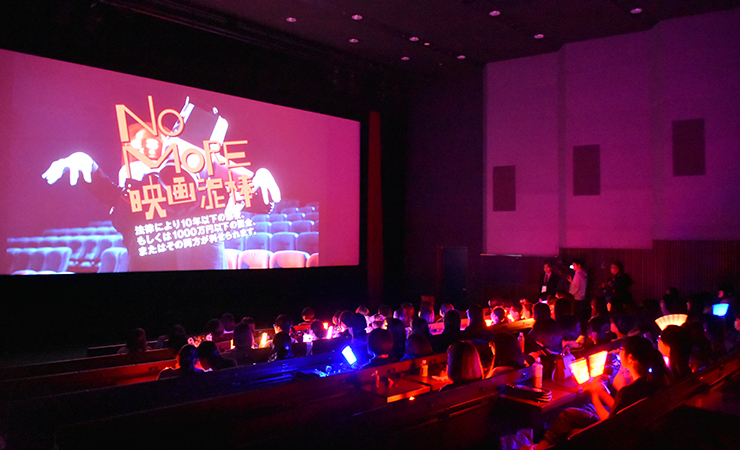 Ten movies including “K-ON!” and “Code Geass -Lelouch of the Revellion- Episode 3” were put on the screen and fans were very excited and cheered with pen-shaped lights. The next “Akiba Film Festival” will be held during the “Golden Week” (late April to early May) in 2020. Why don’t you participate in this festival of cutting-edge pop culture?